ILTVSW guest star: Greg Poehler | I love TV so what? 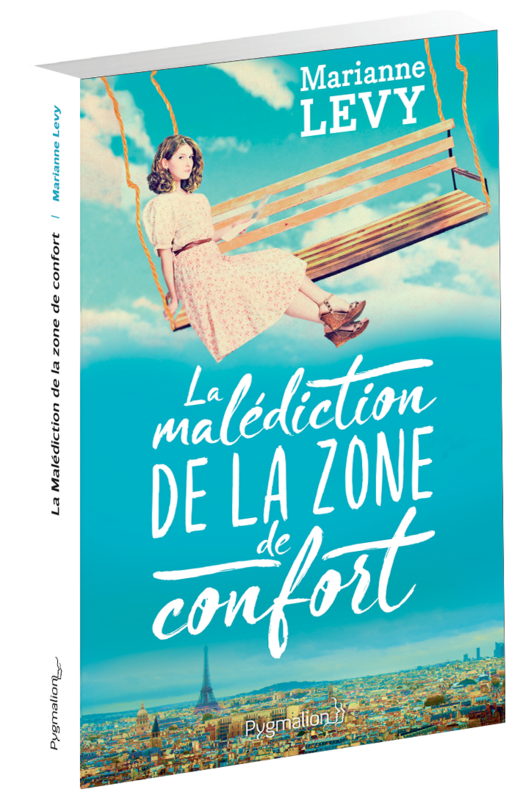 Greg Poehler, the creator and showrunner of Welcome to Sweden was in Fontainebleau last july invited by the French screenwriters festival Série series. ILTVSW was lucky enough to seat with him and talk comedy, writing, coproduction and romantic comedies. As the French network Arte is this week airing Lilyhammer, another comedy show telling the story of another American moving to the north of Europe, the timing was perfect to explore the challenges of such an artistic adventure. ILTVSW. How much does comedy need to come from a personal experience to be great? Greg Poehler. I don’t know if it needs to be personal to be great. I think you can write a great comedy about something which has nothing to do with your life or your experience. I think it is easier if it is something you know. I do stand up comedy in Sweden and in the US and as a stand up comedian you learn pretty early on that the more stuff you can do that’s genuine and about your own life it’s better received by the audience. They appreciate it more and it turns up to be funnier. Also I think if it’s about you and your own experience, you just care more about it and maybe that makes it better in the long run because you really pay more attention than you would be if it was just a random story. ILTVSW. The genuine factor is the most important thing in comedy writing? Greg Poehler. I don’t know if it’s a key to comedy. The show that I wanted to make was a show that felt real. When I watch television in general and comedies especially part of the things that I don’t like if when a comedy sacrifices reality and genuineness for laughs. That loses me. I personally don’t like the « jokes, jokes, jokes all the time » style. When you do genuine and real you do have to pull back on the comedy, it becomes less funny because life is not one joke after another. Hopefully in the long run the viewers connect more with a show like that. In a regular sitcom that has jokes all the time you don’t really develop an emotional attachment to it, you don’t need to watch every episode, you can just miss one. It’s a different type of show and viewing experience. ILTVSW. A lot of great comedy TV shows are made by actors-writers, do you think it brings something more? Greg Poehler. I definitely think that if you are writing for yourself you know what your strengths are and you end up writing lines that you know are funnier for you and written in a way that you would actually say them. It’s difficult sometimes when you are telling somebody else’s jokes to deliver them in a way that sounds genuine. In that aspect I think it’s a huge advantage and benefit to have all the dialogue be something that you yourself stand behind and find to be funny yourself. But if you have a script that’s really well written by really funny people I think that could work just as well. Maybe a little bit less (smile). Greg Poehler. I don’t know if you want to go there if you are on camera … The danger might be that you wouldn’t write something that stretches your limits, maybe something you couldn’t do. That’s maybe the only downside to it. ILTVSW. Do you have an explanation to the fact that there are so many acting-writing people in comedy which is not the case in drama? Greg Poehler. People who are in comedy in general tend to be writers anyway writing their own material weither it would be stand up or sketchs. It kind of goes hand and hand. Also I think, certainly in my case, a lot of times you don’t get to make the show unless you write it. And you wouldn’t be in it unless you write it. More and more you see people having to write stuff for themselves to be able to be given opportunities. That would be my advice to anyone who is trying to make it in comedy certainly is to write stuff for yourself. Don’t rely on somebody else. It is very rare that someone is going to write the perfect part for you. Also when you write something and you bring it to someone and you also want to act in it, it is tougher for them to say no. You have to be pretty bad for them to say no (laughs). ILTVSW. 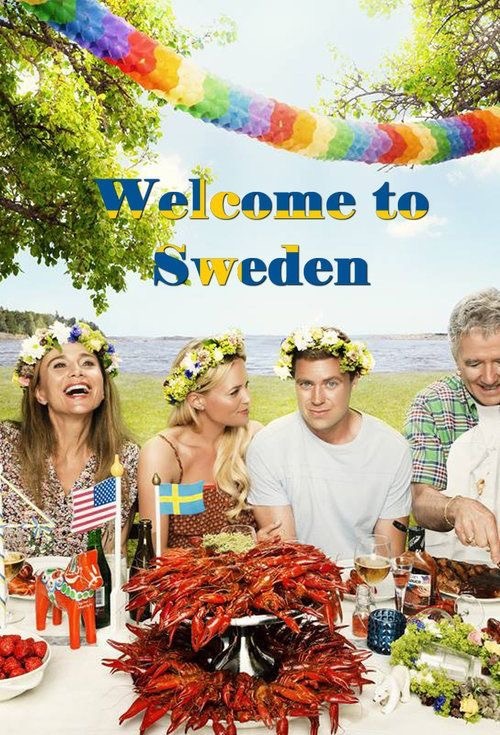 Comedy is not an easy genre because people do not share the same humor, how did you deal with that with Welcome to Sweden? Greg Poehler. Our process was that we had Swedish writers in the writers room. Our test was all the jokes or scenes had to be funny for all of us before we would allow it to be sent out of that room. I don’t think you can ever find a joke or a show that works everywhere. There are probably some exception to that rule. At best you are going get 70% people liking it. 20% hating it. And 10% saying: it’s OK. That’s about as good as you can do. We tried to find jokes that worked at least for both Swedish and American in the room and hoped it would translate in every country. ILTVSW. Killing darlings seems essential to write good comedy, did you on your show? Greg Poehler. I did. I have very few darlings I would say in the first season. I wanted to first season to end a certain way and nobody else wanted it to end that way. I fought for it for as long as I could and then eventually there was a point where it was just me against twelve people who all said no. Your confidence in yourself and pride can only go so far eventually you have to realize OK if everybody thinks this way maybe they are right. I don’t know, I still think I was right (laughs)! I wanted it to end in more of a cliffhanger way. I didn’t wanted it to be resolved. So that season 2 people would be waiting for it. It’s totally painful. I will always wonder even though I was out voted 12 to 1 if my way would have been better. ILTVSW. Is there a possibility that the collaborative process in TV writing sometimes kills the creativity because of some kind of a majority rule? Greg Poehler. It can be bad. Look at the state of good American TV in the past years. You know 30 Rock was very much Tina’s vision, Louie is the only show there is where a person has total control over. Even Vince Gilligan for Breaking Bad. I think you find a format that if there is one person that’s kind of in charge and has real control over the show often times the end result is much better. As long as that person knows what they are doing and is talented. I have to say as someone who has never done anything before I probably had more control than any person ever like in the history of any show so I can’t complain that I only had 95% control. If you trust the people you are working with and they all say no, you have to take a step back and try to reevaluate and understand why they are saying no. You still hate it but you have to at least accept it. That said, there is totally a risk. The more people that are involved the more risk. Especially when you are talking about coproduction between Sweden and the U.S. With different countries involved you get so many conflicting notes and remarks. Ultimately you have to trust yourself and what you want to do and try to stay true to your vision as much as possible. I had a certain pace that I wanted the show to be. A little understated. Not so over the top. It was tough to stay true to what I wanted but I think it worked out. Greg Poehler. I have always secretly liked romantic comedies. I usually watch them on the back of airplanes when no one else is watching and hope no one sees me but I am often frustrated by them, I am talking movies now, because they are often kind of formulaic, you see where they are going right away. So I wanted to make a TV show that was a romantic comedy that was funny but where you still had characters that you were rooting for. That was always the guide for the show. I wanted it to be sweet. I am obviously much more sensitive than Mindy Kaling (laughs)!